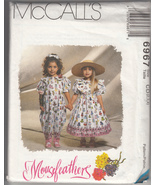 Product reviews for "Mccall's Sewing Pattern"
Great pattern, multiple choices. Wonderful seller!!! 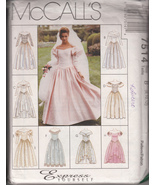 The pattern was truly "easy to sew". The directions were clear and precise. As with most patterns, once you cut to the size you want, you can no longer use the pattern for the other sizes. My granddaughter looked adorable as a Halloween cow for trick or treat. Very nice pattern. Good condition never cut. 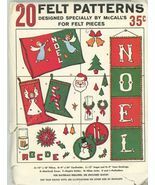 Great representation of holiday felt decorations popular from the 50s through the 70s. 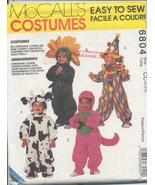 This pattern has a lot of variety and includes many designs.